First, let’s talk a bit about why you would want to use a tagged email address. Primarily, you would do this because you want to be able to track who is sharing your email address when they shouldn’t be. So, for example, let’s say that you sign up for a newsletter. Instead of just giving them your regular Gmail address, you would give them a tagged Gmail address, and then if you get email to that address from anyone other than that newsletter, you know that they have shared your email address with that other place that is emailing to your tagged address (or they have experienced a data breach or leak). Here’s another example: You purchase a product or service online. Or maybe you purchase a product in a store, and then register the product online. If you give them a tagged email address, where the tag is unique to them (for example, the name of the company), then if you get email to that tagged email address from anyone who is not that company, it means that the third-party somehow acquired your address from the original company. 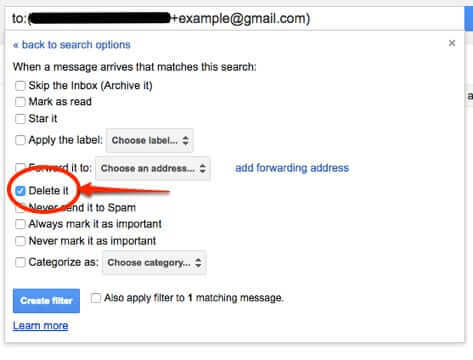 So just what is a tagged email (in this case a tagged Gmail) address? 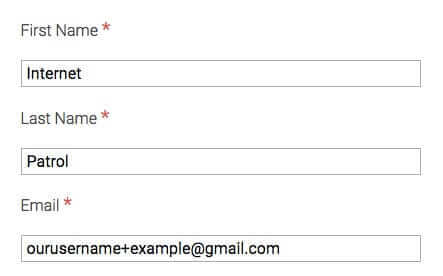 It is an email address that has a “+” added to the end of the username and then any string of characters following the + symbol. 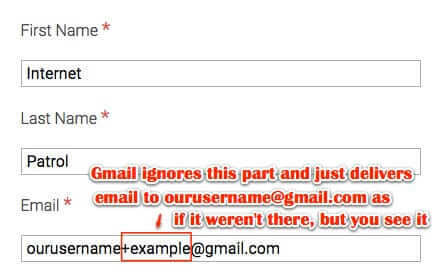 You can do this because, and here’s the thing that lots of folks don’t know (and there is really no reason that they would or should know it): many, if not most, email systems will simply ignore the + symbol and anything that comes after it. Now, again, when Gmail receives email to your tagged address, it ignores the + symbol and everything after it, and just delivers it to your regular Gmail address. See? Delivered right to our inbox as if the “+example” weren’t even there. But we still see it, so we know that that email should only have come from example.com. 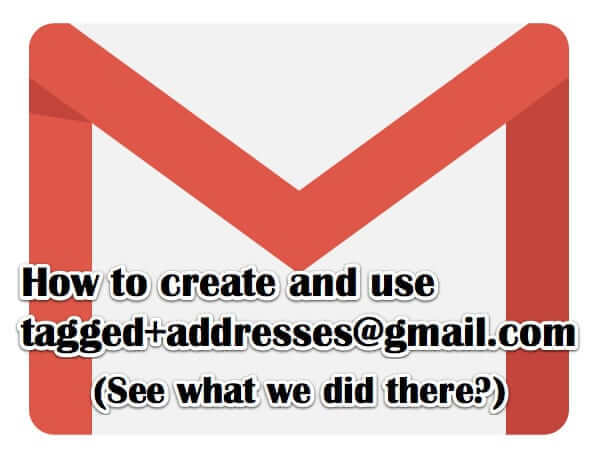 As we said, the primary reason for using a tagged email address is to allow you to track what has happened with your email address once you give it up to a company or newsletter, or some other mailing list. 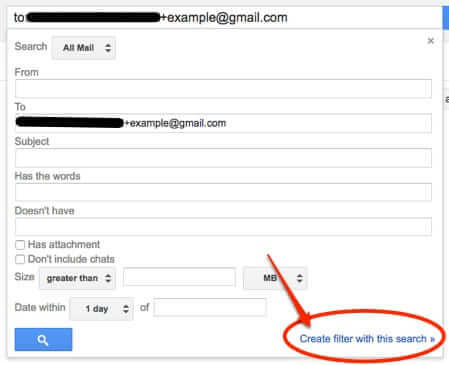 Another benefit of using a tagged address is that if it starts getting too much spam, you can simply create a filter to silently discard email to that tagged address, while not affecting your primary, actual Gmail address. 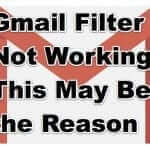 Of course, you can also create filters for your tagged email addresses that do something other than deleting it; for example maybe you want to filter all of your newsletters into a particular folder, or maybe you want to forward email going to a particular tagged address to another of your email addresses. 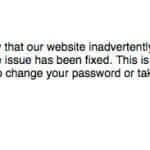 The one thing to bear in mind is that some places do not allow you to sign up with a tagged email address – their system will throw an error saying you need to use a ‘valid’ email address. But those places are in the minority. Lots of other email providers also support the use of tagged email addresses, so if you don’t have a Gmail address it’s worth experimenting with whomever you use for email. Have you used tagged email addresses before? Will you now? Got a great story of a ‘win’ that you experienced using a tagged email address? Let us know! I wasn’t aware of this and receive masses of emails from businesses and advertising businesses purporting to act for other businesses. It is a real intrusion and I seem unable to stop it for even if I mark them as ‘junk’ or ‘spam’ & they get put into those mail boxes, it seems no time before I’m receiving them again but with someone elses name in the from field. So, thanks for the article. I’m not tech savvy but use the Internet a lot and anything that may help me control unsolicited messages is very welcome to me. I think you only catch the amateurs here, not the real baddies.